Though I was a math major in college, I have always also been a student of great artwork and excellent writing. A gentleman who devoted his off-air time to the pursuit of excellent writing and perfect grammar was television newsman Edwin Newman. If you are of a certain age then you have a recollection of Mr. Newman's easy-going demeanor and his wonderfully off-kilter speaking voice. (Who would ever have thought that anyone who sounded like Edward G. Robinson would be hired to read the news?) If, however, you are younger than that unspecified certain age, here is a clip so you can see and hear a little of the man himself. When I was but a wee tyke back in the 1970s, Mr. Newman penned a book entitled A Civil Tongue. I bought it and read it and... something bothered me about it. Not the whole book, mind you, but one sentence in the entirety of the book. There was exactly one sentence that struck me as being awkwardly constructed. 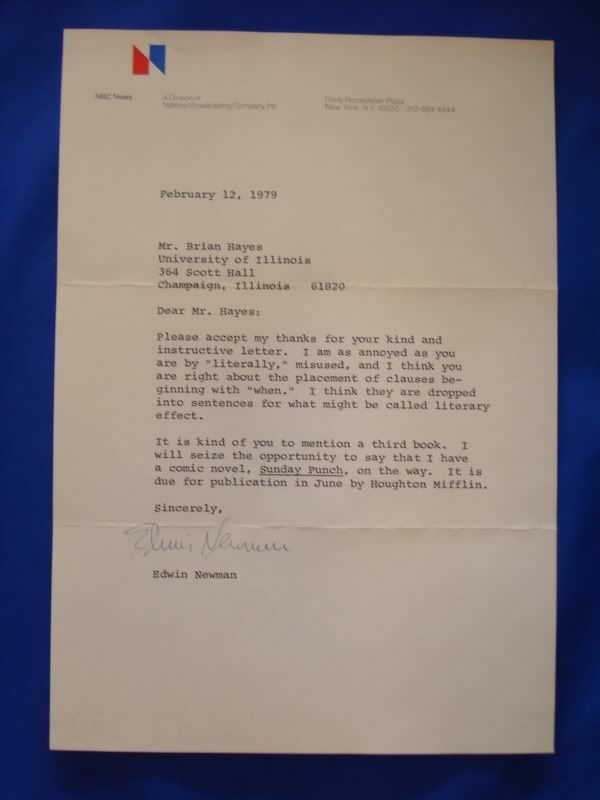 I no longer remember what that exact sentence was, but I decided to write a letter to Mr. Newman to (gulp) call him on the carpet for his unconscionable grammatical lapse. I used to write letters to very many different people that I had never met. (Where did I find the time?!) I never saved a copy of what I wrote, but of course it was great fun to receive a letter back from an individual I had written to. Most of my letters were written to comic book artists, and I'll be sure to tell you more about those at a later time. 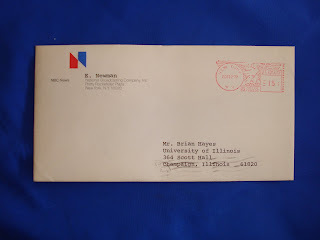 I am inaugurating this "My Letter from..." thread in The Hayfamzone Blog with Mr. Newman in honor of the gentleman's recent passing. 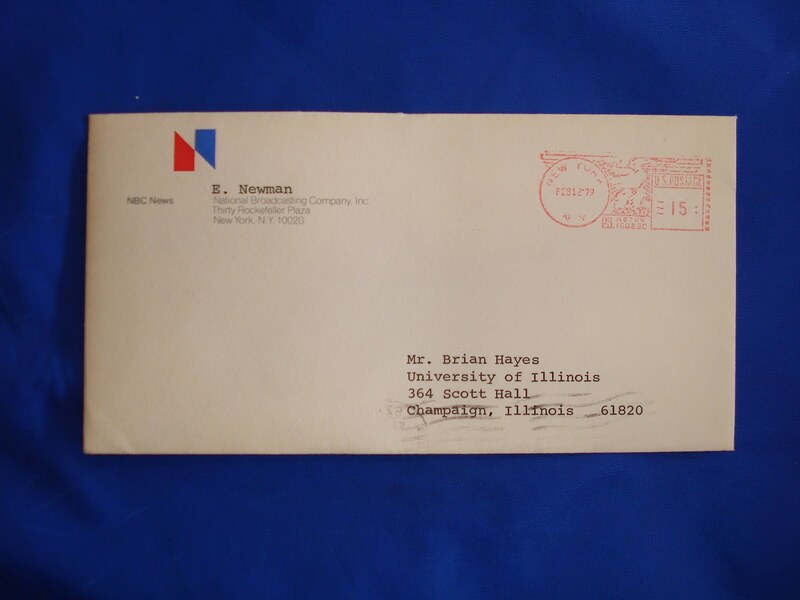 Here then, without further delay, is a copy of Mr. Newman's response to the letter I wrote him.